Brixham Harbour had a lot of official activity today as reports of a suspected ordnance circulated. 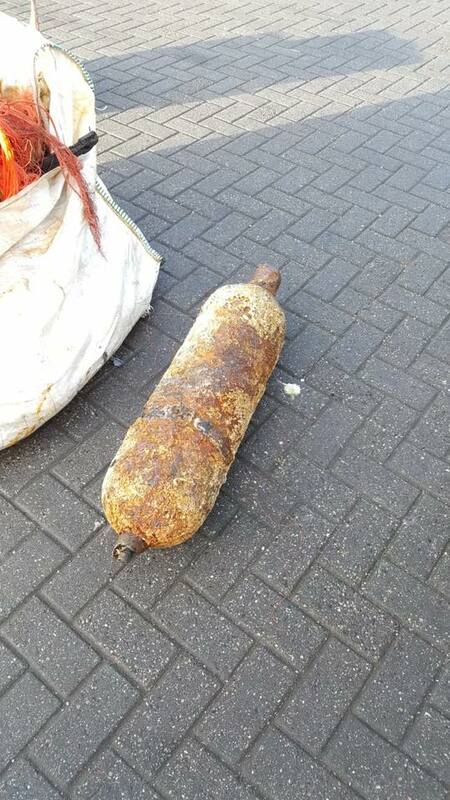 Emergency services including the Royal Navy Bomb Disposal group were called to Brixham to handle what appeared to be a suspected ordnance device. Police officers attending the scene quickly setup a cordon around the harbour area to ensure peoples safety. An inspection of the device quickly went ahead. Lot of interest in this one today at #BrixhamHarbour. Is it or isn’t it we’re not going to decide, expert on their way to ensure everyone’s safety. It was later confirmed by the Berry Head Coastguard that what had been brought to shore was actually an old air cylinder. Tasked by Solent Coastguard to unidentified object (possible ordnance) that had been reported by Brixham harbour Security. Devon & Cornwall Police were also in attendance and the EOD (explosive and ordnance disposal) squad were also tasked from Plymouth. A cordon was put in place around the area while EOD investigated the object. It was found to be an old air cylinder following which we were stood down.